Penny stocks are stocks below $1 in value on the stock market. They offer an interesting, though high-risk, opportunity for investors. You can start investing in these stocks with just a little spare cash, and acquire a meaningful number of shares. The hope is that if the stock increases in value by just a few cents, you can sell and lock in a big percentage gain. When choosing a broker, you'll first want to be sure they support penny stocks —not all stockbrokers do. You'll also want to make sure that they're willing to trade outside of the major NYSE and NASDAQ markets. Some brokers focus exclusively on stocks traded through the New York Stock Exchange, NASDAQ, and other major stock markets, but many penny stocks trade on the “pink sheets.” These are lower-volume stocks traded on a system called the Over the Counter Bulletin Board (OTCBB). If you want to trade penny stocks, you’ll want OTCBB support from your broker. Another important thing to look for is low fees. When buying and selling shares that trade at $60, $100, or even $1,000 each, a $5 trading fee is a very small percentage of that. But with penny stocks, a $5 fee could be worth hundreds of shares, or a big percentage of your total profit. Lower broker fees are always a good thing, but it is even more important in the world of penny stocks. Now that you know what look for when choosing a penny stock broker, read on for our top options to consider when getting started on your first foray into penny stocks. Robinhood made the top spot on this list for one reason above all else: they allow you to trade with no fees. Because fees can be the make-or-break factor in penny stock success, going with the most popular no-fee brokerage may be the best choice for you. Saving $10 between buying and selling could end up being a huge percentage of your profits in a penny stock bet. Robinhood does not offer a ton of support or resources for investors, which is the main drawback. They're also a primarily mobile-based company, though they've recently added a web version of their stock trading platform as well. But this takes the Best Overall spot because the price is right — you can’t beat free trades. 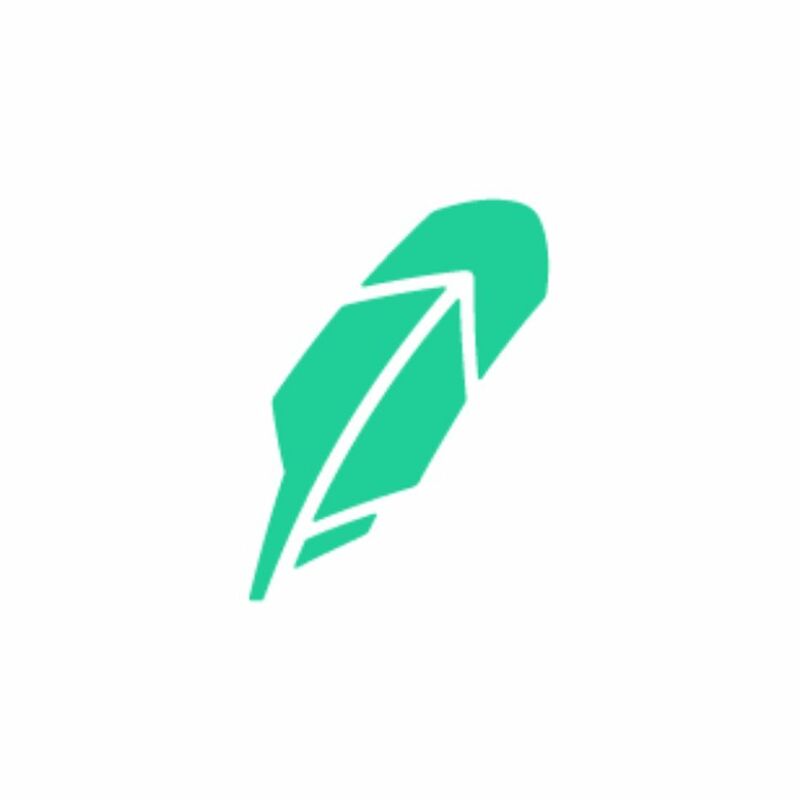 Robinhood accounts are also secure and don’t cost anything to set up. Charles Schwab is a major discount stock brokerage with $4.95 trades. Account holders get access to OTCBB and Pink Sheet stocks, plus research on those stocks. So if you want to learn more about the companies at your brokerage before you invest, Schwab is the best option for you. This company offers in-depth research, as well as access to the full swath of penny stocks and StreetSmart Edge, a competitive trading platform with professional-style investment tools to buy and sell on the fly. You can also trade on the go with the Schwab mobile app. You can’t win in the stock market without the best information at your fingertips. Schwab helps you get that information while offering a competitive trade price. It isn’t as cheap (read: free) as Robinhood, but it gives you a lot in return for $4.95 per trade. Ally Invest is the investment arm of Ally, a top online bank. If you're already familiar with this company, you’ll be pleased to find the same friendly and easy-to-navigate experience on the stock side of the house. Ally offers a standard $4.95 trade commission, but volume discounts are available that bring the price down to $3.95 per trade if you trade at least 30 times per quarter or maintain a $100,000+ average daily balance. In addition to its easy-to-use mobile and online trading systems, Ally offers an “investing education center” filled with articles and information on how stocks and other investments work. Accounts support stocks, options, ETFs, bonds, mutual funds, foreign exchange, and futures, so you can trade just about anything here if you ever get bearish on penny stocks or want to diversify your strategy. Etrade is one of the oldest online stock brokerage firms and offers access to a full range of stocks including the Pink Sheets. Their cutting-edge mobile trading apps make this company a great choice for mobile traders, but they have powerful web- and desktop-based trading platforms as well. The big drawback of Etrade is its $6.95 trade price, which still categorizes it into the discount brokerage tier, albeit on the more expensive end. Trading 30 or more times per quarter gives you $4.95 trades, which puts it in line with its biggest competitors in terms of price. Etrade offers stock research resources and several powerful trading platforms. If you want your trading desk to look like one from a Wall Street trading floor, Etrade has you covered. TradeStation offers $5 trades and a platform that's excellent for advanced and active traders. This company offers per-share pricing and unbundled pricing that may offer a better deal depending on your stocks and trade volumes — this is particularly helpful for penny stock traders looking to knock a few cents off of their trade fees. Aside from pricing, TradeStation's powerful desktop platform stands out above the rest. Its mobile, desktop, and web platforms give you access to your investments at your desk or on the go. But active penny stock traders will want to lean most on the desktop version, which comes with news, charts, and trading at your fingertips. If you choose per-share pricing, which is best for frequent traders who trade in small blocks, pricing starts at just one cent per share, with a $1 minimum per trade. After the first 500 shares in a trade, the price drops to 0.6 cents per share. Unbundled pricing gives you pricing from one cent down to 0.2 cents per share for high volume traders. Visit TradeStation to learn more about this pricing and see if it makes sense for you. Interactive Brokers' most standout fee is its pricing. Trades start at 0.5 cents per share with a $1 minimum per share and 1% trade value maximum, which can be a big money saver for penny stock traders. Under the tiered pricing structure, rates range from USD $0.0035 to $0.0005 per share with a 35 cent per-trade minimum and 1% maximum per order. This unique pricing structure is perfect for penny stock traders starting out small. But while fees per share are low, that doesn’t mean it has low quality trading platforms. Interactive Brokers also offers top-of-the-line desktop, web, and mobile trading platforms. With its newer IBot, you can trade hands free with Alexa or inside of Facebook Messenger, an added bit of fun when you buy and sell shares. Fidelity offers $4.95 trades, access to the Pink Sheets, and some of the best research tools available. Research may be limited on penny stocks in general, but Fidelity’s focus on education and investor empowerment makes it stand out for what you can find on listed stocks. Fidelity is a high-quality brokerage all around, and it can go head-to-head with Schwab on pricing, platforms, and research. It is the overall best brokerage for retirement-focused investors, and much of what makes it stand out there also applies to penny stocks. For research, you’ll get access to Ned Davis, Thomson Reuters, McLean Capital Management, Recognia, and about 20 others.